Kik is one of the world’s most used chat apps and the fifth most searched term in the iOS App Store and its company Kik Interactive, Inc. now is introducing an open source cryptographic token, named Kin in order to build a business model around a decentralized Kik, and hopefully attract other developers to build decentralized communities using Kin as well. 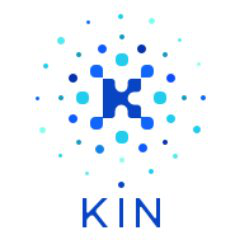 Kin will be created as an ERC20 token on the Ethereum Blockchain and will be integrated into Kik as the primary transaction currency. Kin aims to bring a broad group of participants together to create an open ecosystem of digital services that prioritize consumer experience and choice. The Kin token sale will take place later. For more information and updates on Kin, please go to Kin website. ICO Description: Kin is a decentralized ecosystem of digital services for daily life. It is a cryptocurrency that will serve as a foundation for a decentralized ecosystem of digital services. Kin will be used in everyday digital services such as chat, social media, and payments.